The Obama administration is dragging Russia into the US presidential election to manipulate American voters for the benefit of Hillary Clinton, Russian President Vladimir Putin said, adding that email revelations have nothing to do with Russia's interests. US intelligence officials last week accused the Russian government of being behind a series of hacks which targeted the Democratic National Convention and the Hillary Clinton campaign. The Clinton camp has pointed the finger at Putin as the source of the problems it has faced over the leaks practically since the first batch of documents was released. Russia denies any involvement in the cyberattacks. 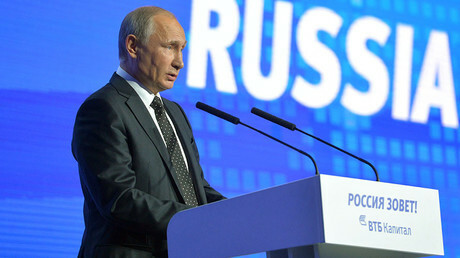 “They caused this [anti-Russian] hysteria with a sole goal to distract the public from the essence of what the hackers leaked,” Putin said at an economic forum in Moscow, referring to the hacking allegations. Putin dismissed the notion that the leaks were in line with Russian goals. 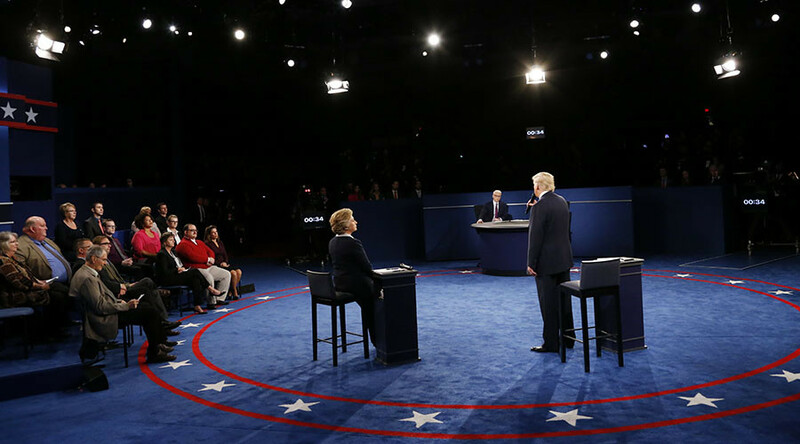 The Democrat camp claims that Moscow favors Donald Trump as the next US president and is using cyberwarfare to manipulate the outcome of the November vote. “They say it was in Russia’s interest. There are no Russian interests involved,” he stated. The Russian leader added that both candidates have made anti-Russian statements during their campaigns, disregarding the damage it is likely to cause when one of them assumes office next year. Putin added that the worsening of Russia’s relations with the US “was not our choice.” He said that for things to improve between Moscow and Washington, the US should start acting like an equal partner and respect Russia’s interests rather than try to dictate terms. “We are concerned with the deterioration of Russian-American relations, but that was not our choice, we never wanted that. On the contrary, we want to have friendly relations with the US, a great country and a leading economy,” Putin said.